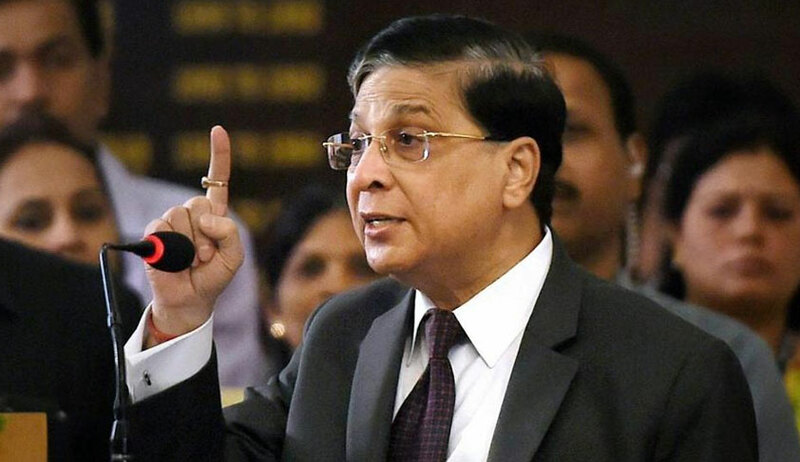 The Indian National Congress, along with some other opposition parties, has reportedly initiated the process for impeachment of Chief Justice of India Dipak Misra. According to a Times Now report, the impeachment draft has already been signed by the Congress and the Nationalist Congress Party (NCP) led by Sharad Pawar. Another report by The Economic Times indicated that leaders of several opposition parties, including the Trinamool Congress, the NCP and the Communist Party of India (Marxist), actively discussed the matter over the past few days. Sources were quoted as saying that the Congress, backed by the Left, the NCP, the DMK and other regional parties, is set to move the impeachment motion in Parliament in the next few days if it is able to garner the mandatory signatures of a minimum 50 MPs. The move comes two and a half months after the unprecedented press conference held by four sitting Judges of the Supreme Court and the uproar that followed. The four Judges - Justice J. Chelameswar, Justice Ranjan Gogoi, Justice M.B. Lokur and Justice Kurian Joseph- had then asserted that the administration of the Apex Court is “not in order” and that many “things less than desirable” have been happening in the last few months. It was also revealed that they had written a letter to the CJI two months ago, airing their grievances.